Medical 1.0OpenERP 6.0Debian GNU/Linux 6.0In this blog I write about the importance of Debian in our organization, GNU Solidario. We, GNU Solidario, have been using Debian GNU/Linux for many years, not only in our installations, but in our implementations, as well as mirroring the repositories for Argentina. 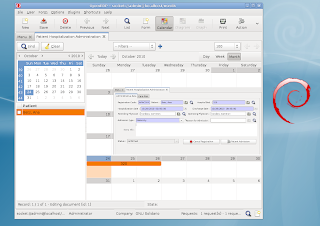 This entry is a tribute to the Debian community, which has been always at the heart of Free Software, and today is the source for many linux distributions (including Ubuntu). Here are some pictures when we installed some years ago Debian GNU/Linux in two rural schools in Santiago del Estero. Thanks to Debian for all these years of contribution to the community, as a truly Free Operating System. I'm happy to announce the enhanced functionality for drug addictions surveillance and control under Medical. In addition, new lifestyle All these extra indicators and functionality will help the health professional to better In addition, I have enhanced the tobacco and alcohol sections, with extra input fields. The information will help the health professional and social workers to improve the prevention and treatment of the patient, as well as to have better epidemiological information on the prevalence and incidence of different addictions. A continuación les copio un correo de Mario Puntin sobre la instalación de Medical que se realizó en el centro de Salud regional. Enhorabuena ! Para el primer item se procedió a contratar a un proveedor de desarrollo informático, que propuso el software de gestión en salud MEDICAL. Este sistema en su conjunto está basado en software libre. por lo que se provee al Centro un sistema libre de patentes o licencias. 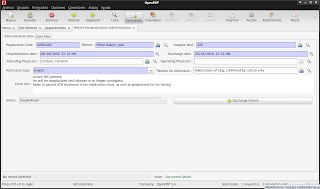 I'm happy to announce the release of Medical 0.1.3, with includes bug fixes and improvements in Patient Hospitalization Management, Laboratory Administration and PoS / Billing, among others. It all looks like that Medical v1 and OpenERP v6 will come out very closely in dates. For the last weeks, I've been working on adapting Medical to the upcoming version of OpenERP v6. I have work on the code, the views and the documentation, so I can say now that most of the code is v6 compatible ( including wizards). Medical 0.1.3 has been released today. From this point on, all the active development (trunk) will be done in OpenERP / OpenObject v6. 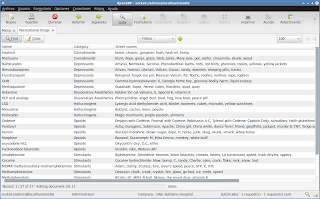 The current trunk has been moved to branch openerp5. This will be based in medical 0.1.3 and it's a maintenance version, so bugfixes will be applied to it.